One of the reasons why some of us are wary of summers is profuse sweating during the season. Sweating is a natural process that expels the toxic waste out of the body. Sweat by itself is not the culprit for the offensive smell. It comes from bacteria on the skin that breaks down the sweat into acids. Deodorants and antiperspirants are a huge relief for most of us that helps us smell great. They have been making huge sales since the 19th century. Fragrant deodorants do work great but are they worth infusing chemicals into your body? Various reports in the recent years state that the aluminum compounds in the deodorants are not too human friendly and may be cancerous. People are now looking for natural and healthier alternatives to deodorants. If you want to smell fresh and fight body odor in a natural way, this post will give you few inexpensive and easy ideas to smell great. 1. Baking Soda: After a good shower and drying, dust baking soda under your arms. There will be no trace of body odor for the entire day. 2. 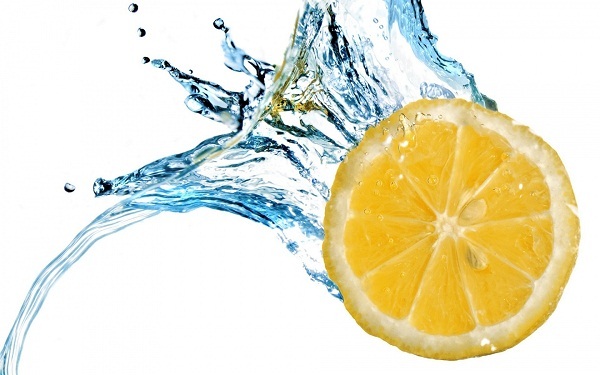 Lemon: Squeeze lemons in warm water and store in a spray bottle for a natural and fab deodorant. It will keep you fresh all through the day since citric acid in the lemon is effective in fighting body odor. Though rubbing a slice of lemon directly on the skin is quite tempting, it may give you that acidic itch. Therefore, you can use lemon with water or as an essential oil. 3. Citrus Deodorant: Make a natural deodorant under two minutes. Take few drops of orange or lemon oil. Mix it with a tea-spoon of baking soda and water and apply. Smell great all day long. 4. Another option is to mix 1/4th cup of virgin coconut oil, 3/4th cup of baking soda, few drops of tea tree oil, and 10-12 drops of your favorite essential oil. Store in a spray bottle. 5. Lavender and Rose Deodorant: You will need 3 tablespoons of virgin coconut oil, 3 tablespoons of baking soda, 2 table spoons of Shea butter, 2 tablespoons of arrowroot powder, lavender and rose essential oils. Mix all the dry ingredients and melt Shea butter and coconut oil. Add 10-12 drops of essential oils and mix with the dry ingredients. Store it in a bottle once the mix firms up. Apply as a lotion to smell beautiful! For most people baking soda works great on the skin. However, if you are worried about allergies and breakouts, I would suggest to do a patch test before applying a large amount on the skin. Preparing a natural deodorant that is chemical-free will give you the peace of mind knowing that you are not harming yourself with aluminum compounds and parabens. Do you have other ideas that you use as an alternative for deodorants?